Preheat oven to 475°. 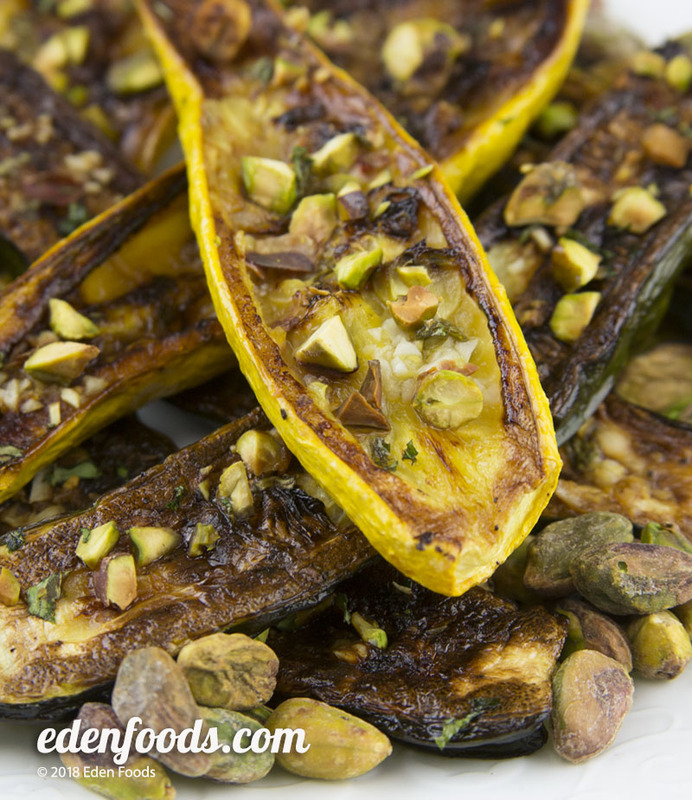 Place zucchini in a bowl and toss with olive oil, salt and pepper. Place on a baking sheet with the sliced surface facing down. Bake for 15 to 20 minutes, or until tender and slightly brown on the cut surface. Turn the zucchini over. Mix the pistachios, garlic, mint, lemon juice and lemon zest together in a small bowl and whisk to combine. Evenly pour over each zucchini half and bake for another 5 minutes. Remove and place on a serving platter.